So happy to review Finger Paints’ Picnic at the Park Collection (March-April 2015) for you today! I’m excited! This collection is different from the spring collections I’ve seen so far with soft pastels, this one is full of vibrant almost in your face colors! I’m absolutely loving it! Let me show you the pretties!! *One in a Melon– this is a GORGEOUS and vibrant coral. Sooo beautiful I cannot get enough of it. Completely opaque in 2-3 coats you see three coats + top coat in the pics. *Grassy Knoll– beautiful and vibrant green. I love that they didn’t go with pastels!! This is opaque in 2-3 coats. Three coats + top coat in the pics. *Sweet Spring– I would describe this pink as somewhere in between baby and bubble gum, maybe pink lemonade? Regardless, I’m quite loving this! The formula was just as nice as the others, opacity in 2-3coats. Three coats plus top coat in pics. ***I feel the need to share with you that ever since my nails got so long my obsession with VNL has increased which is why I did three thin coats for all these. *Picnic Blanket– large square glitters on clear base, even though I love the look of this I wasn’t too in love with the polish itself. The glitters are hard to come by if you brush it on with a thin base and a thicker base results in piling so I’d definitely say glitter placement is best with this baby. Overall I loved this collection! The cremes are so perfect I feel like they made my skin glow! How did you like it?! This is their March-April collection will be available then at Sally Beauty Supply stores or you can purchase online here as of March. Thank you so much for reading! Leave a comment! I love interaction!! Thank you!!! That is my absolute favorite too! Ugh I just love how they went with such vibrant colors!! I WANT THEM ALLL. 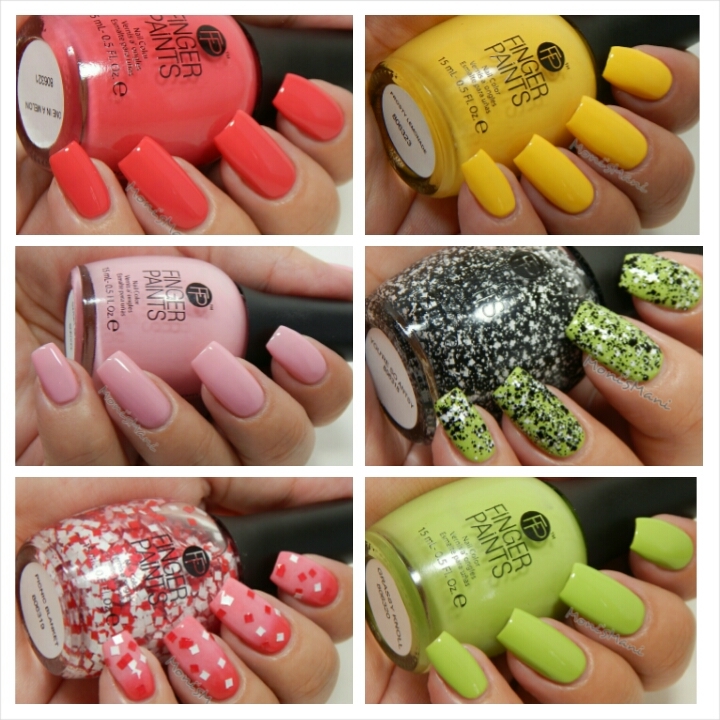 Your nails are gorgeous and these swatches are flawless! Thank you soo much for your kind words!!! This collection did it all! I am in love with it!! I think I love all of them except for Picnic Blanket. The cremes are gorgeous! Aren’t they?! So in love with this collection! I’m happy you like it too. Thanks for commenting I really appreciate it!